hi, i'm siovhan, for those of you who don't know me. but seriously, i am siovhan. and i have a problem. i have a couple actually. one...i love diet soda. preferably the diet coke ... but i'm developing a love of ddp. i acquired some for the collection today. one is for the halloween costume (in black so i can use them later)... another, because i love plaid. i mismatch my socks. on purpose. in my drawer. i wear one piece of jewelry constantly. my ctr ring. ctr stands for choose the right. my eyes are mostly, and usually, green. but they can look hazel-ish sometimes because i have an amber ring around the iris. also they're super green when i cry. fall is my favorite season. and my cutest wardrobe. cold...but not too cold. i love grapefruit scented things. but grapefruit scented soap makes me dry heave. i've had the same pair of glasses since i was 16. in-de-structible. i've only locked my keys in my car twice. one was in a blizzard. i make up nicknames for people to refer to them in conversations with my besties. my current radio presets are: (in no order) top 40, oldies, ESPNRadio, country, indie, hip hop. i have three nail clippers at my desk because clipping my nails is a nervous tick. i lose my voice screaming at football games ... even on t.v. megan can make me laugh with one look. i've been growing my hair out for nearly a year ... and i hate my hair right now. i think something is seriously seriously wrong with my thyroid. i'm actually worried about it. i love sweatpants, hoodies, slippers and my hair in a ponytail. those sicknast hostess apple pies are some of the most glorious things ever. i watch more how i met your mother than i really should admit. i watch even more gilmore girls. i'm a bad phone talker ... but i'm trying to get much better. one person at a time. i miss college life ... vacations ... and that little bit of irresponsibility. Diet coke --- yum!!! Are you a fan of Diet coke with lime?!?!? LOVE that!! I am not on a Diet Sunkist kick too! I wish I could turn back time and truly appreciate while I was in the moment what an amazing time college was! Good to get to know you better. Question: If I were to be brought up in conversation with your besties, would you consider calling me "Lechelle Rockstar"? When I got married I considered changing my middle name to Rockstar, but I chickened out. I've had several regrets that I did not take advantage of that opportunity. And I love hazel-green eyes, I think they are gorgeous. My eyes are exactly like yours! So crazy! And the thyroid thing? Hit me up if you have questions. I have been dealing with issues since I was 22 and have gone so far as to have mine removed completely. I am in love with your plaid shoes. 100%. oh my gosh, you've changed the look of your blog -- and i LOVE it!!! It's wonderful! ddp is way better than diet coke. I've recently discovered that. even better -- mtn. dews new diet ultra violet something... it's amazing. But curtis says it's been discontinued :(. But look for it just in case. also, my fall/winter wardrobe kicks my summer/spring wardrobes butts. and my OCD would never allow me to mismatch my socks -- CHAOS. i'm big on nicknames too. makes convos much more fun! and i'm slowly learning to appreciate the phone again. texting is still way more fun. btw what are you going to be for halloween? umm I loved this. I feel like i know you so much better now! And I think you are really cool. Not that I didn't before, but now that I know you I feel like we would be best friends in real life. 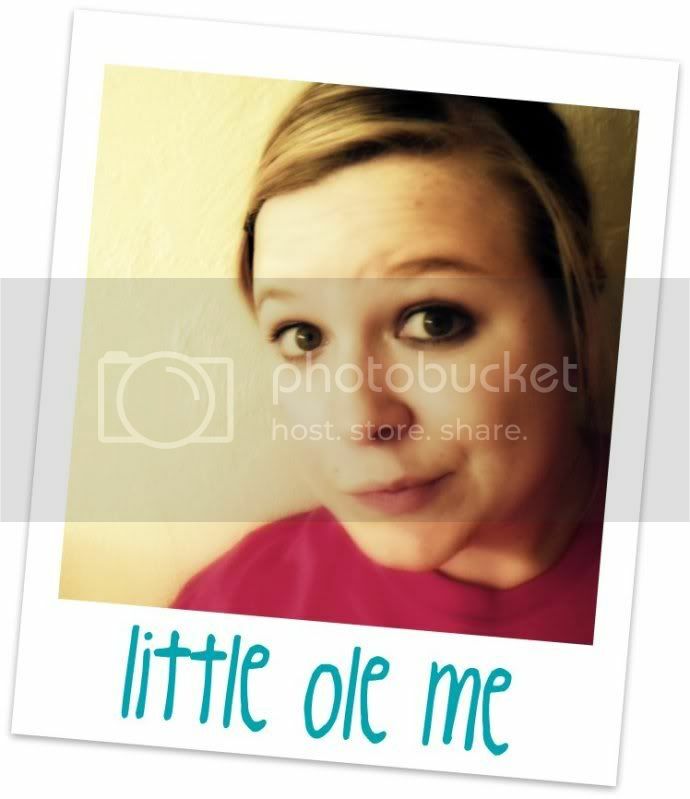 I just love "little ole you"